An earring is a piece of jewellery attached to the ear through a piercing in the earlobe or an outer part of the ear. There are several choices to suit all designs and pain thresholds, so selecting the right piercing makes your overall satisfaction when all is said and done. Here, the Top 10 different types of ear piercings to help you choose if it’s the right one for you. 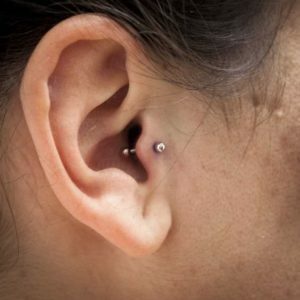 Tragus is the thick small, oval protruding cartilage just outside the ear canal. Tragus piercing is done at the little fleshy ear canal, although it’s not common and you might be annoyed while dressed anything at this position and mostly if you use earphones. 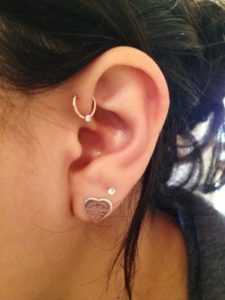 Rook piercing is done at the folded inner rim where the inner and outer conch are divided, it’s one of the most painful piercing as the piercing includes a lot of tissues and even it’s not necessary that it will look great on everyone as it’s very depended on the look and structure of your ears. 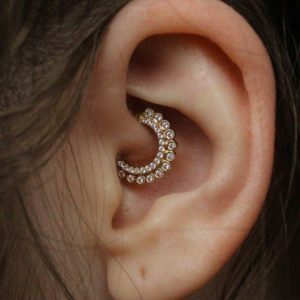 Snug piercing also known as Anti-helix Piercing, the piercing is done at the inner fibrous of the ear, the piercing is not that typical and doesn’t look so great also as only micro-jewellery can only be used and the piercing is much more agonizing as compare to others piercings. An orbital piercing relates to any piercing where two holes are made in the same part of the ear, usually so that a ring piece of jewellery can successfully go through both. 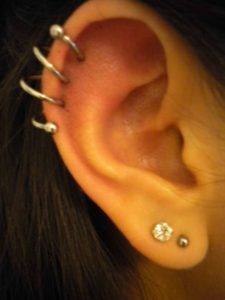 While these can be done in a lot of places, generally people have this piercing in the helix or the lobe. The antitragus is the little cartilage next to your lobe and opposite your tragus. Based upon on your pain limit this piercing pretty painful both during the process and at the time to recover afterwards. Just above the starting of the ear canal is a small variety of cartilage, and this is where you might find a death piercing. 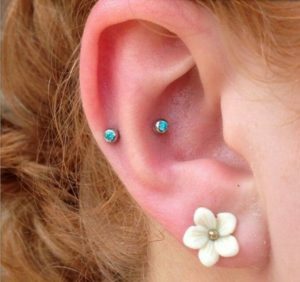 It’s a fairly challenging part of the ear to get to in order to actually pierce it, so rounded small needles are generally used. Once the deed is done, though, a variety of straight and hooped jewellery can be worn in it. It actually ends up as one of the more unique, cuter ear piercings to look at! This one is an absolute die-for, women usually prefer three or more ear-rings of the same style but different size. 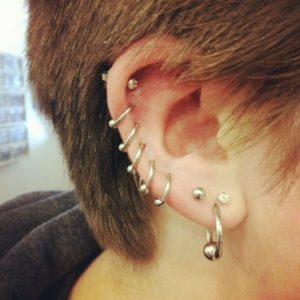 This kind of piercing is a mixture of three or more piercings done on the lobe at certain gaps from each other. An easy hole is pierced through the earlobe by an ear gun or a hook. It involves very low risk of infection and almost no pain or swelling. 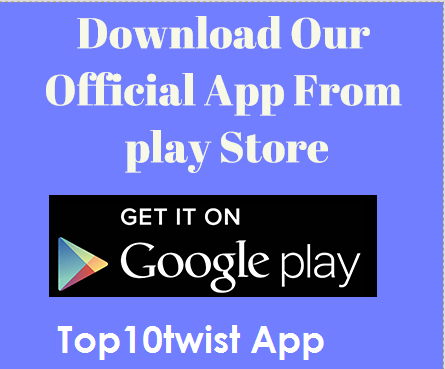 It is very safe as the earlobe is very flexible and contains no cartilage. This kind of piercing has the ability to make you the center of attraction in even the most crowded of places. 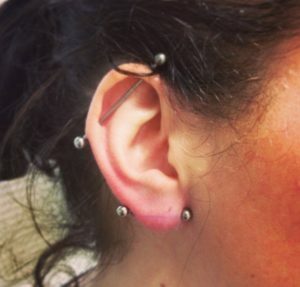 Instead of piercing through the lobe back to front side like an ordinary lobe piercing, the transverse lobe piercing goes through the skin side to side using a barbell. This kind of piercing does not need cartilage, so in common more pain-free than other types of piercings. A forward helix piercing is a style for the outer rim of your ear at the top of the rim just above the tragus, it can often be little painful as it is made through the cartilage in the ear. You can also get a dual or a multiple forward helix piercing. The most enigmatic piercing of all should get to be saved in the top place. 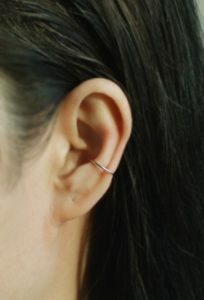 It contains several piercings that are connected with each other with the help of the only single piece of jewellery and the piece of jewellery is usually in the form of a spiral. 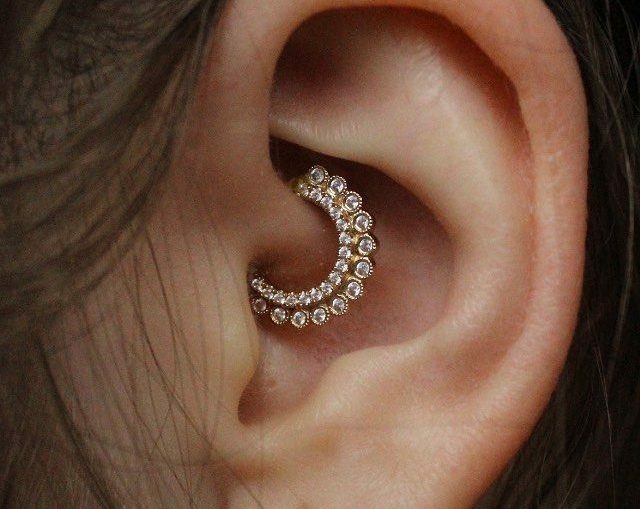 It is not just the place of the piercings, which is usually the helix, that makes it more amusing but rather the form of the jewellery that contributes a marvellous appeal the piercing. It is quite painful but completely worth the pain.